On 15th June 2017, Ballymore will launch Goodluck Hope, a new riverside neighbourhood comprising of 804 homes located directly on the River Thames at the historic Leamouth Peninsula. Surrounded by water on three sides, the area has a strong maritime heritage and inspired by this Ballymore will forge a new neighbourhood, which will transform the area into the epicentre of culture and creativity in East London. Goodluck Hope is the latest development from Ballymore, which has a strong footprint in East London, delivering some of the most ambitious regeneration schemes in the area. Having transformed Leamouth North with the creation of London City Island, which is set to become one of London’s leading arts and cultural destinations, Goodluck Hope in Leamouth South completes the landscape at Leamouth Peninsula, making the whole island area a landmark in riverside living. Designed by architects Allies and Morrison, the first release at Goodluck Hope features a collection of suites, one, two and three bedroom warehouse and tower apartments. The architecture and exterior design of Goodluck Hope is drawn from the areas previous incarnation, evident in the forms, patterns and colours of the bricks from the central street of Orchard Place to the restored Grade II listed Dry Dock and each of the surrounding buildings to create a cohesive, contemporary design aesthetic. Representing a modern interpretation of warehouse living with floor to ceiling windows and generous open plan rooms, the proportions and apartment sizes have been designed with a focus on clean lines and materials that have luxurious warmth to them as well as a contemporary edge. The open plan kitchen and dining area feature a bespoke stone island with dining table alongside uniquely designed brass faucet taps, carrying the Goodluck Hope maker’s mark, a symbol of craft and ingenuity and Ballymore’s attention to the finer details. Maximising the riverside location and industrial maritime heritage, residents of Goodluck Hope are surrounded by water at every turn, with riverside promenades offering spectacular panoramic views of the city. At the heart of the development, with dramatic views both east and west along the Thames, the Orchard Dry Dock references the area’s historic purpose. Stood at the southern edge of Goodluck Hope, Ballymore have restored the entire structure to the outline of a great vessel with elevated seating, making it an open, accessible place in which to meet and socialise with stunning views of the River Thames. As part of the lifestyle at Goodluck Hope, all residents have access to The 1595 Club, a network of globally inspired amenities under one roof. These include a 24 hour concierge, swimming pool (The Waterhouse), Scandinavian style steam room (The Steam House), fully equipped gym (The Sweat House) and Business centre (The Workhouse). Entertainment options include a private cinema (The Picture House), restaurant with panoramic river views (The Spice House) and on the 29th floor residents have access to a spectacular viewing lounge (The Lantern Room) on the top of the tallest building offering panoramic views of the Capital. Every resident of Goodluck Hope also automatically becomes a member of the City Island Arts Club, complete with an outdoor swimming pool, resident’s club and other amenities. The lifestyle offering at Goodluck Hope gives it a distinctive advantage over other developments in London, culminating in an exemplary modern neighbourhood fit for 21st century living. Due to complete in 2020, residents of Goodluck Hope will be surrounded by art and culture, which forms an integral part of the development. Cultural pioneers and artisans permeate every aspect of neighbourhood living from food and drink to dance and film. Residents will have access to Ballymore’s own creation The Island Grocer, an Italian inspired delicatessen and restaurant and The Wharf Brewing Co., an outpost of the Brick Brewery in Peckham, on the site of the old Orchard House pub, creating locally brewed beers alongside a brewing school for a first-hand experience of this craft. They are supported by The Line, London’s first dedicated modern and contemporary art walk featuring artworks by esteemed artists including Antony Gormley, Damien Hirst and Eduardo Paolozzi. The Island Florist led by Richard Bragg and his team at Trinity Buoy Wharf will offer flowers for sale and open their workroom enabling the community to learn the craft and creativity of floristry. Cementing the area’s status as the epicentre of culture and the arts, world renowned cultural establishments English National Ballet and The London Film School are relocating to London City Island in 2018. Iconic landmarks including The 02 arena, The Shard and Tower of London close by, and riverboat access makes the Tate galleries, Southbank and as Somerset House on the Embankment a short ride away. Goodluck Hope is the ideal location for young professionals and families alike, in addition to spacious homes and excellent amenities, residents will be close to The Faraday School, an independent primary school located within the inspirational setting of nearby Trinity Buoy Wharf. 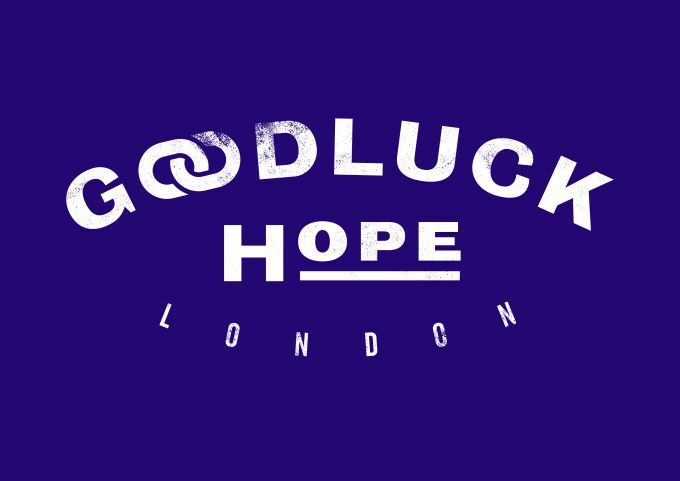 Goodluck Hope offers unparalleled connections across the Capital from its advantageous location on the banks of the River Thames. Underground travel from nearby Canning Town station on the Jubilee Line and Docklands Light Railway, offers direct access to London’s financial and business districts with journey times of just 4 minutes to Canary Wharf, 10 minutes to London Bridge and 17 minutes to Bank. The West End and Mayfair is accessible in 18 minutes via the Jubilee Line to Green Park. International travel is easy with 7 minute journey times to London City Airport offering domestic and international flights. For those looking to take advantage of the riverside location for commuting, there will be a new Thames Clipper service at Goodluck Hope making Canary Wharf accessible in 17 minutes and London Bridge in 31 minutes. From 2018, the Crossrail link at nearby Canary Wharf will provide quick and easy access to Soho in 11 minutes, Bond Street in 13 minutes and Heathrow Airport in less than 40 minutes. First completions are scheduled for Q3 2019 – Q1 2020 with prices at Goodluck Hope starting from £335,000 for a one bedroom apartment.